Whistler is a soft violet matte eye shadow. It provides great coverage, has excellent adherence and will continue to look good until you are ready to take it off. You can use it alone or layer with other colors to create your perfect look that will really make your eyes pop. This is a beautiful eye shadow! I started using your eye make up about a week ago and noticed right away that Mineral Hygienic eyewear stays on a lot longer than my other brands of eye shadow that I have been using in the past. Iâ€˜m also very impressed by the wide variety of colors that you have them available in and loved the way they apply and blend to get the perfect look for me. I will definitely recommend your make up to all my family and friends. Keep up the great work, Iâ€™m excited to see what else you add to your make up line in the future! I am super impressed with your Minerals! I report the evening news for CBS and it is important that my makeup continues to look fresh throughout the day. Running around all day following stories can take a toll on my appearance. Like most reporters, I was constantly redoing my makeup before I went live on camera! Mineral Hygienics is the first product I've used that doesn't require touch-ups. It provides exception coverage and continues to look great all day! I never need to do any touch-ups! In the past my face would start to shine under the hot studio lights. Since switching to Mineral Hygienics I continue to look great! Thank you so much!!! I just started using Mineral Hygienics a few weeks ago & really like it! It works with my extremely sensitive & allergy-prone skin. The coverage looks great as well. Much better than the Jane Iredale I tried prior to MH! Thank you! medium light seems perfect. I love your minerals! They somehow cover but are so sheer. I love the idea of using the finishing powder first--it really controls the oil. The makeup is lasting--just like the reviews said. I have very very sensitive skin and this is the only makeup that I've found to not irritate my skin. It covers all the imperfections but feels so light on my face that I sometimes forget that I'm wearing anything at all. I get numerous complements on my complexion and I have already recommended this product to 3 of my friends who have sensitive and problematic skin as well. Thank you for creating this amazing makeup. Having tried many mineral powders only to find them shiny and irritating, I can honestly say that Mineral Hygienics powders are exceptional. They look very natural yet cover well. The brow and eye pencils go on easily and wear well. Exceptional also is their customer service. Having been in the field for over 25 years, I recognize and appreciate exceptional service. You will not be disappointed! I have been using Mineral Hygienics for about a month now and each day I am more amazed with the results. I was raised by a very dedicated Mary Kay user and became one myself, so to stray away from their products was almost like committing a mortal sin. Since using Mineral Hygienics my skin just glows! There is no more touching up my makeup when I go home for lunch or even when I get off work! It stays in place from morning to night. The ultimate test came yesterday. I was amazed to find that after an entire day of boating in 90 degree heat, with my five year old spraying me with water guns all afternoon, that when it came time to go out for dinner, the only thing that needed help was my hair!!! Unbelievable! Mineral Hygienics has won me over and I will not be going back to my old products, in fact, I have thrown most of them away already! t change a thing. 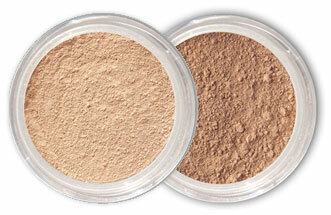 I LOVE THIS MINERAL MAKEUP! I am 41 years of age and have been wearing makeup since the age of 13. Of course, at that age you buy what you can afford and you donâ€™t look at the name brand. You look at the colors, not at the quality. As time goes by, you try to find a better product that will last all day without caking, smearing, running, and will make you look younger and hide those wrinkles. I was pleasantly surprised, to say the least that your eye shadows are wonderful!!! You have such a nice variety of colors that last all day long and so easy to apply with the brush provided. It feels great on my skin, without a cake feeling. I have had people ask me what color of eye shadow I was wearing and I have told them what is was and where I got it. I would definitely recommend mineral hygienic eyewear to anyone. Keep doing a great job as your products are the premier line!!! Finally found good mineral makeup! I have very acne-prone sensitive skin that breaks out really easily. Most other cosmetics give me whiteheads, but I've experienced no breakouts since using mineral hygenics. I like that you can build the coverage up, and it doesn't look cakey when first applied. Pretty pricey for me to buy and be shipped to the UK, but I think it's worth it. Thank you, mineral hygenics!